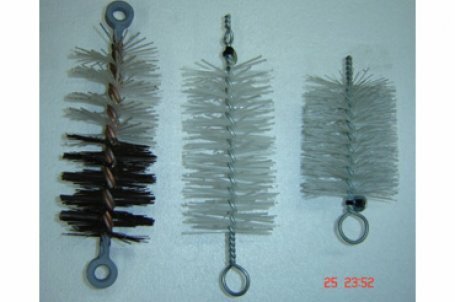 Brushes are another product that we offer that can be used to clean debris our of ducts\conduit. 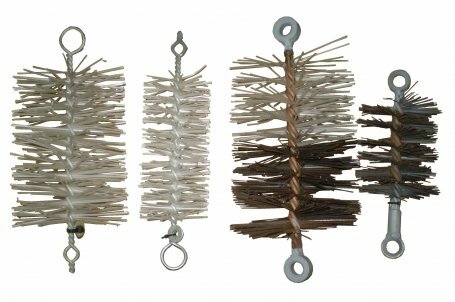 We offer a range of different sizes and types of brushes. As well as the above mentioned brushes we also offer a range of sizes of Soft Nylon Brushes, these come with a pulling eye one end and the other end plain. The plain end can slot into the attachment at the end of our 8 & 10mm Diameter Duct Snakes and will help to keep the rod above any existing cable in a duct when pushing your rod through a duct.